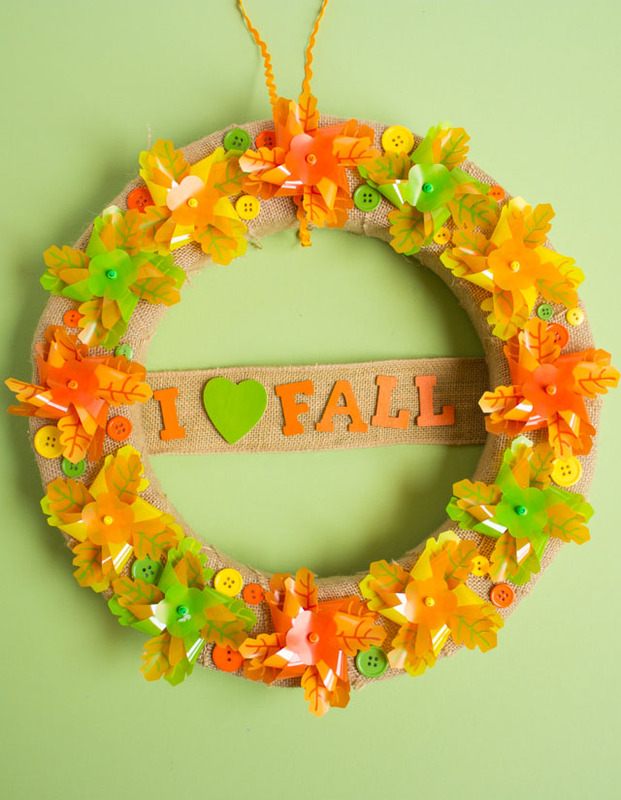 I have a fun fall kids craft idea for you today in partnership with Oriental Trading’s Fun365.com! 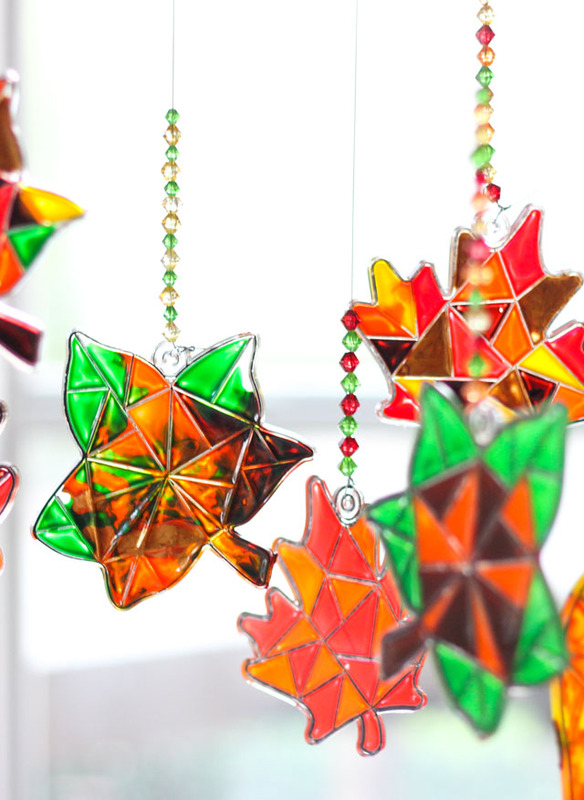 Stella and Hazel spent a weekend afternoon making a mobile of fall leaf suncatchers to hang in the window. 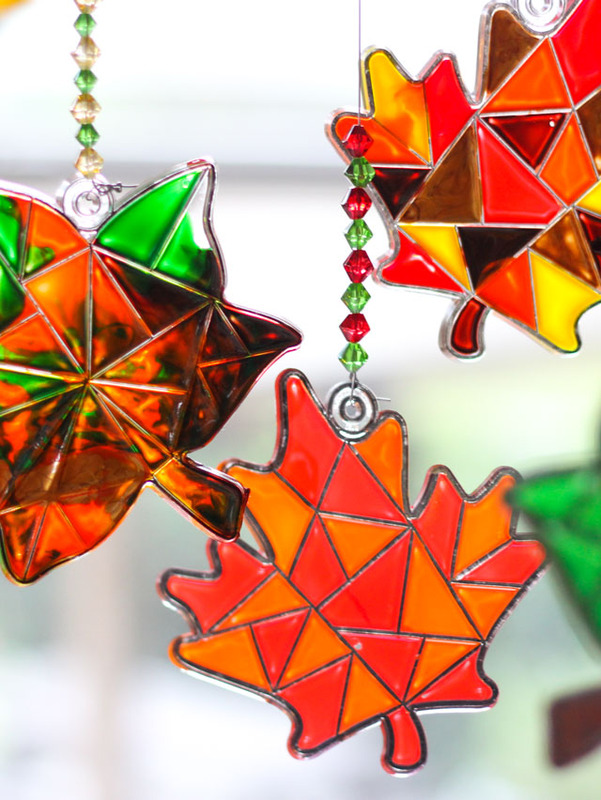 We don’t get the beautiful changing color of fall leaves here in San Antonio, but looking at these pretty leaf suncatchers gleaming in the sunlight still makes it feel like fall. 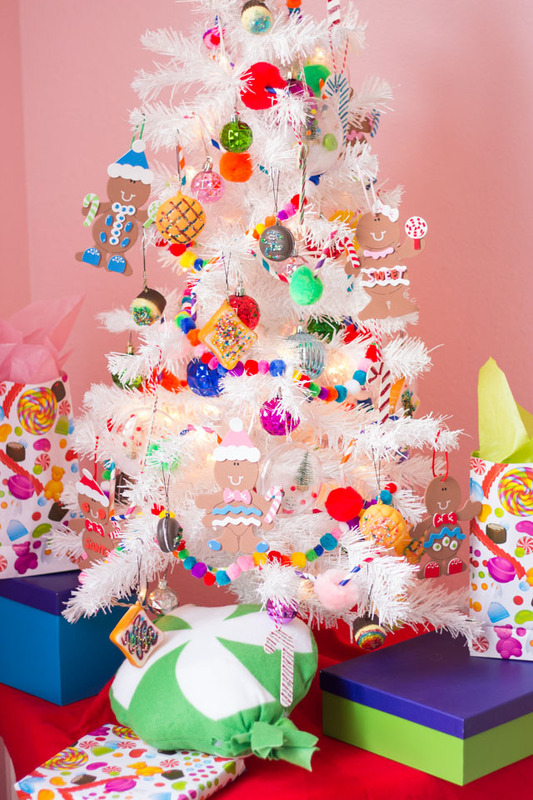 This would be a fun craft project to keep the kids busy while the turkey is in the oven on Thanksgiving! 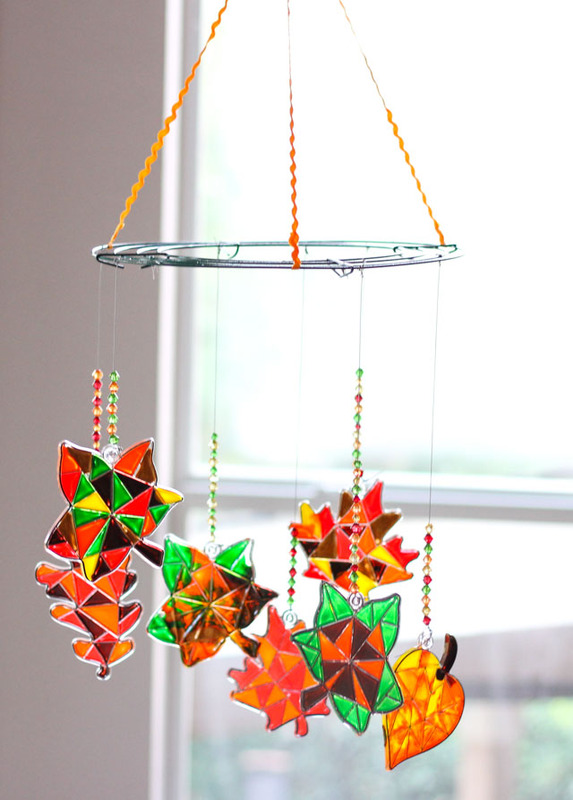 You could always hang these suncatchers with a suction cup on the window, but I thought grouping the leaves into a mobile would make for an eye-catching way to display them. We just used a simple wire wreath form to hang them from, and strung the suncatchers on wire with some autumn colored beads. You’ll still want to hang the mobile by a window so it can pick up the sunlight. Suncatcher crafts are one of my daughters’ favorite type of projects and the paint pens make them next to impossible to mess up! 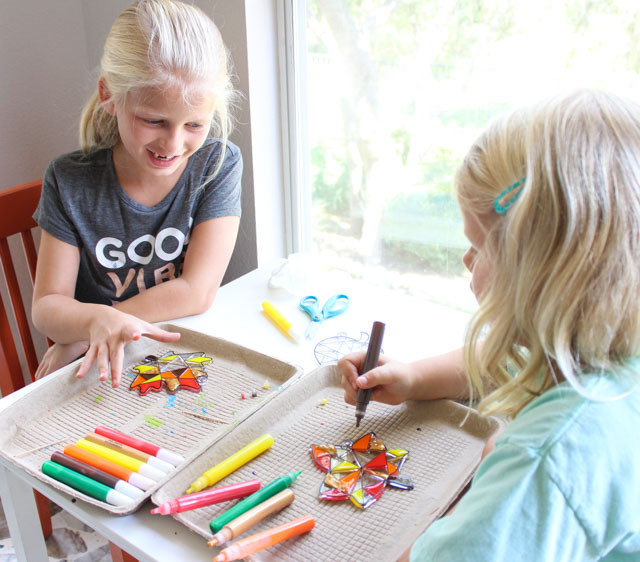 The leaf suncatchers come in a package of 24, making them a perfect craft for a school group, troop, or kids party. Oriental Trading has a ton of different suncatcher crafts and paint pens in addition to these leaves. 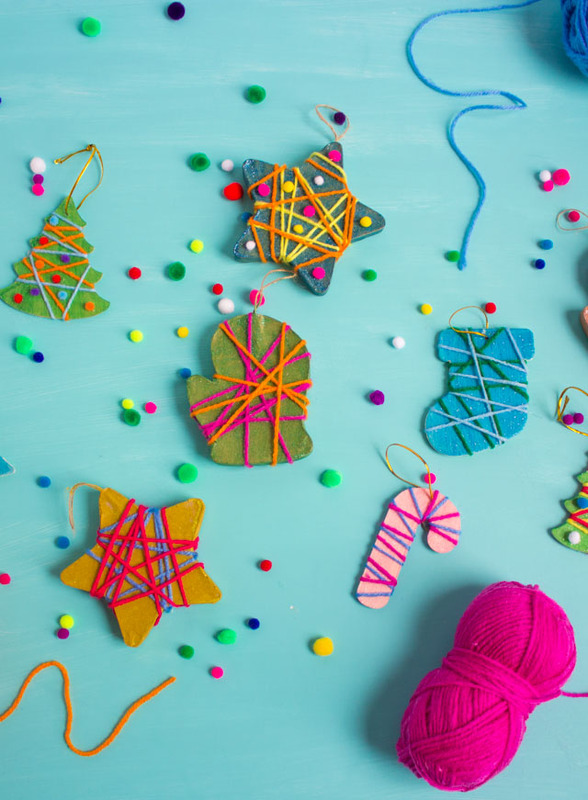 We’ve decorated dinosaurs and “Aloha” summer suncatchers before too! 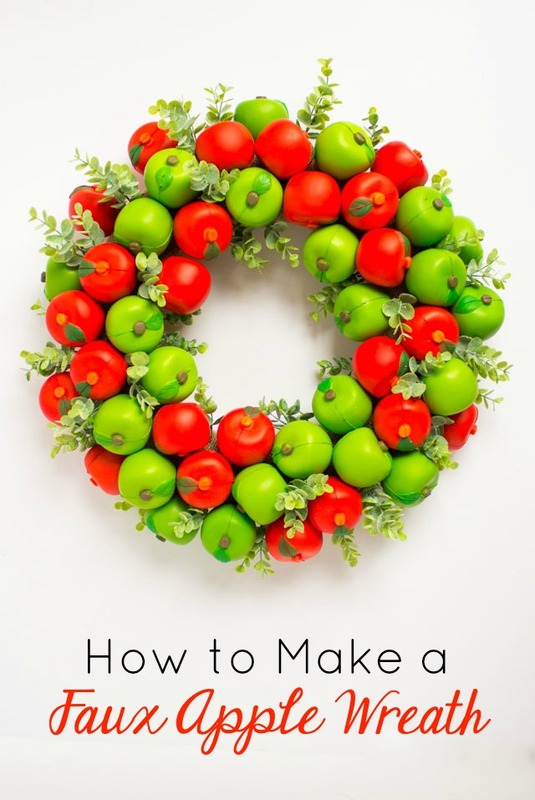 Head to Oriental Trading’s Fun365.com site for the step-by-step fall leaf mobile tutorial and a full list of supplies!